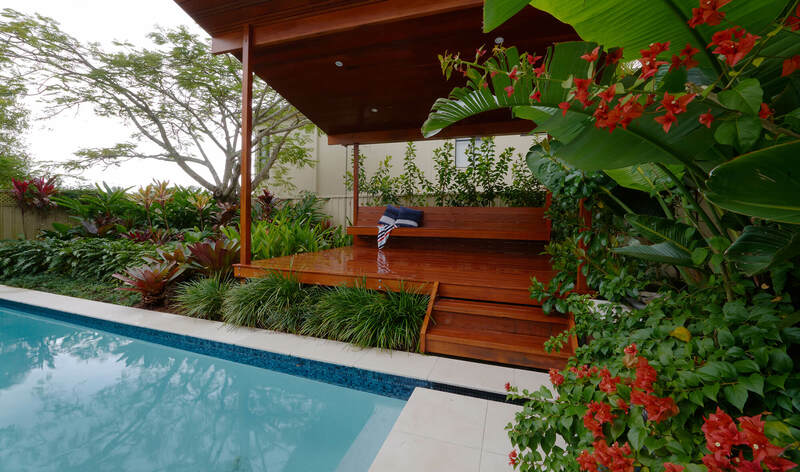 Low maintenance, colour & extended entertaining areas were on the top of this client’s brief. 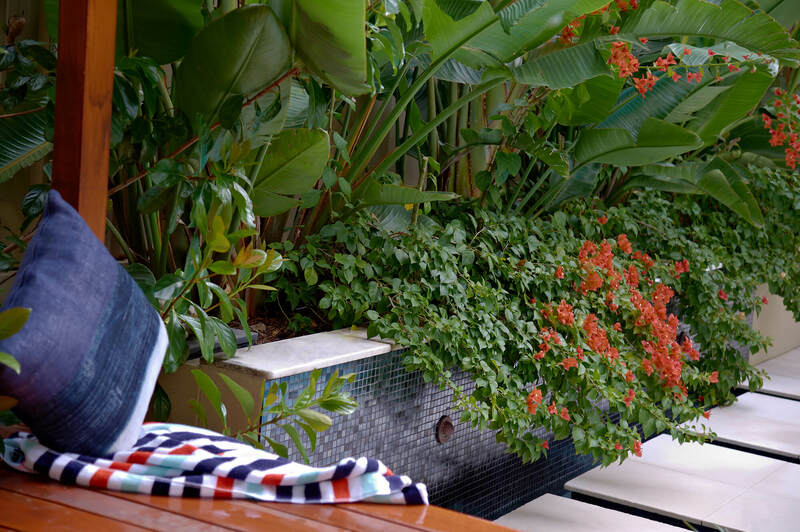 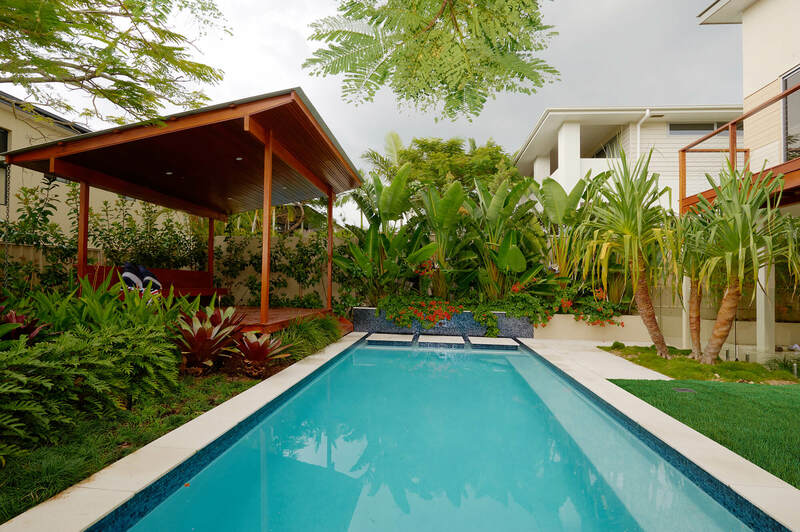 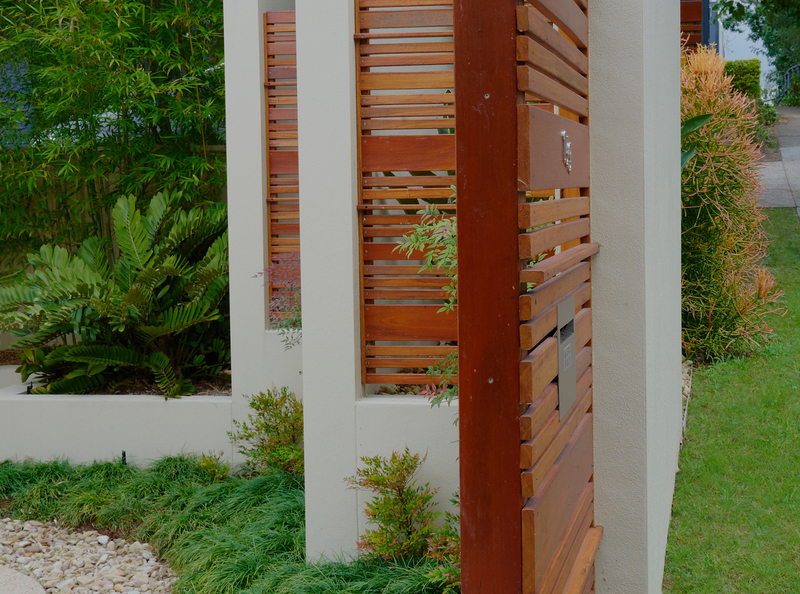 Entry gardens of low maintenance succulents, bamboo screening & tropical foliage create a relaxed atmosphere. 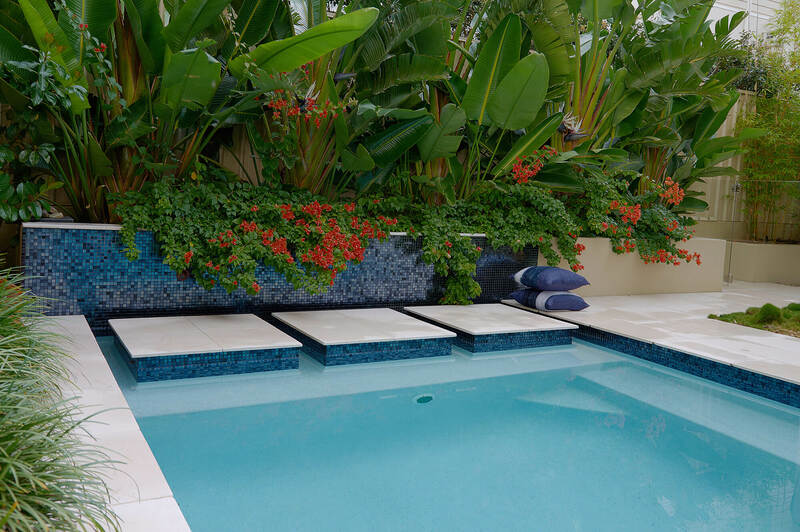 The outdoor pool terrace disguises the underground water storage tank and provides the perfect space for weekend BBQs.